This blog post is for anyone interested in the technical development of GOV.UK Verify. 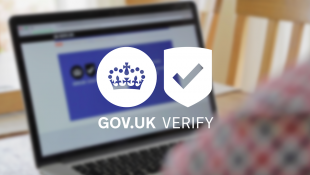 In our first technical delivery update we explained that there are 3 parts to GOV.UK Verify and the delivery team is responsible for building and maintaining 2 of them: the GOV.UK Verify hub and Document Checking Service. Currently the delivery team - made up of developers, engineers, analysts, product managers, delivery managers and architects - is working on 3 technical delivery priorities: increasing adoption of GOV.UK Verify; improving and maintaining GOV.UK Verify; and reducing our technical debt. Here’s what we’ve been working on since the last update, and what we plan to do next. began upgrading to OpenNTP to resolve syncing issues with our previous NTP servers. NTP (network time protocol) ensures the clocks on our servers, and the rest of the federation, are set to the same time. We need to know that requests from departments have been recently generated. Without NTP we would not be able to know this. Over the Christmas period we have a change freeze and are not deploying any new code. Our next release of new code will be in January. &selected-evidence=credit_card&selected-evidence=driving_license (sic) even when the credit card has not been mentioned. It is remarkable that the privacy officer and group were prepared to agree a change of policy: faced with what was being done a proportion declined to continue, so don't tell them. That seems to be an agile leap from transparent (can see what's happening) to transparent (can't see insides). More seriously, the new EU data protection regulation spells out that public bodies may not use consent as the legal basis for processing personal data. Can we get an update on that? The url shows the way the logic in the hub is working to direct the user to a certified company that’s likely to work for them. We’ve removed the question about whether the user has credit card statements available from the user journey because we found in lab research with users, and from usage statistics from the live service, that it wasn’t helping users find a company likely to work for them. This is part of our ongoing work to iterate the service and find ways to help users through the process efficiently in a way that works for them. The url still contains that snippet because although we have removed the screen, the logic in the hub means that we still need to record a response as though that question were still in the hub (until we remove that element of the logic completely, and we won’t do that until we’re sure we won’t want to use that part of the logic in the user journey in future). As I said in my reply to a different comment, we’ve been keeping a close watch on the new EU data protection regulation and we’re confident that our approach will remain compliant with the regulation. Until the final text of the law is released we’re not able to comment in detail, but we will do so once we’ve been able to see and review the text. How far away is this from going progressing from beta to live? And how can those in local government take advantage of it? In terms of local government, GOV.UK Verify isn't available for local authorities yet, but we do want GOV.UK Verify to be available for them to use in the future. We've built the service to make that possible and we've supported alpha projects with local government services through the Open Identity Exchange – see http://oixuk.org/?page_id=10 for information about them. However, we haven’t yet developed the model for how GOV.UK Verify would be used by local authorities; we're prioritising central government services in the first instance and will start working on this for local authorities after GOV.UK Verify goes live in April.